KGR IndustriesThe world's most comprehensive and productive range of DTH Rock Drilling Tools Manufacturers and Exporters in Hyderabad, Andhra Pradesh.Offering quality Rock Drilling Tools and drilling equipments ranging from handheld drilling consumables to top hammer shanks, drill pipes, couplings, rods, drill bits etc. We will work closely with our valuable customers to design and develop drilling tools as per the requirement and specification. We committed to design and develop premium quality products and services to achieve the highest possible drilling productivity for their business and on-going projects. Our range of drilling tools is widely used in varied drilling applications including mining, water well drilling, quarrying, geotechnical industries and etc. 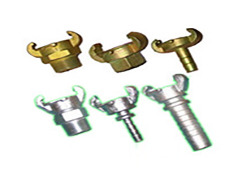 DTH Rock Drilling Tools manufactured with highly wear-resistant steel produced by most experienced engineers using the advanced computer technology. If you’re looking for higher productivity drilling tools (drill pipes, drilling bits) at lower operating costs? KGR Industries (DTH Rock Drilling Tools Manufacturers) is the best choice and preference for any industrial and domestic applications. Visit our products page to explore our Drilling Tools and Equipments!!! !